The 'Five Happiness' platter with roasted duck, roasted pork belly, kurobuta pork char siew, wasabi-aioli prawn and braised beef fillet with five spices and sea salt features in Cherry Garden's National Day six-course set dinner. 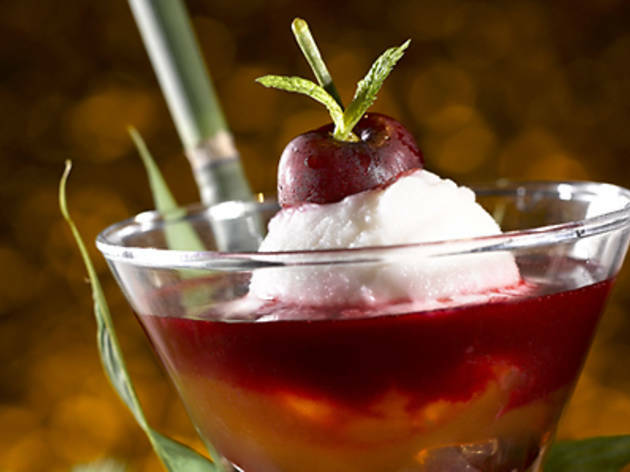 The cherries in nui er hong and kuei hua chen wine cocktail jelly (pictured) is also a sweet treat to look forward to. 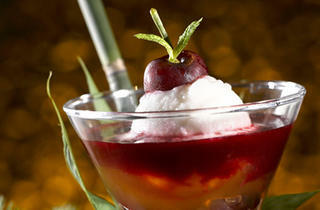 The dinner is priced at $98 per person with a minimum of two orders.